The NRC joins the rest of the federal government this September — National Preparedness Month — in urging you keep your emergency plans up to date. Your plans should cover natural hazards for your area, including earthquakes, tornadoes and hurricanes. With Tropical Storm Hermine taking aim at the U.S., now is a particularly good time to think preparedness. The NRC’s preparedness planning deals with potential accidents with radioactive material, particularly nuclear power plants. If you live within about 10 miles of a U.S. nuclear power plant, the plant sends you emergency planning information every year. You might get this information in the form of a calendar, brochure or other document. A very important part of these materials discusses how emergency plans cover special groups such as students or people with disabilities. The materials include who to contact ahead of time for any additional help you, a family member or neighbor might need during an emergency. When you share this information with emergency officials, they can also use it during natural events. The planning materials also include basic information on radiation, instructions for protective actions such as evacuation and sheltering in place, and contacts for additional information. It’s always good to store this information where you can easily find it if needed. Another key part of your emergency plan is staying informed during an event. The NRC requires every U.S. nuclear power plant to have reliable ways of quickly informing people within 10 miles that something’s happening. This can involve sirens, tone-alert radios (think weather-alert radios), or emergency officials driving through your neighborhood and giving instructions over loudspeakers. A plant’s annual planning information will include the radio or television channels to tune to for Emergency Alert System (EAS) information and instructions during an event. The NRC examines all of this emergency preparedness work in assessing every U.S. nuclear power plant’s ability to protect the public. Working with the Federal Emergency Management Agency, the NRC grades a plant’s full-scale exercise at least once every two years. These exercises maintain the skills of plant, local, state and NRC emergency responders, as well as identify anything the plants need to improve. NRC inspectors also evaluate additional plant drills. You can find more general information and tips on creating your family’s emergency plans at Ready.gov . Check out our YouTube video on hurricane preparedness at the NRC here. Up to now the 2014 Atlantic hurricane season has been pretty calm, but the NRC always keeps an eye out for the strong weather-related events and other natural events the world can generate. We make sure both U.S. nuclear power plants and the agency are prepared for high winds, storm surge and a whole lot more. 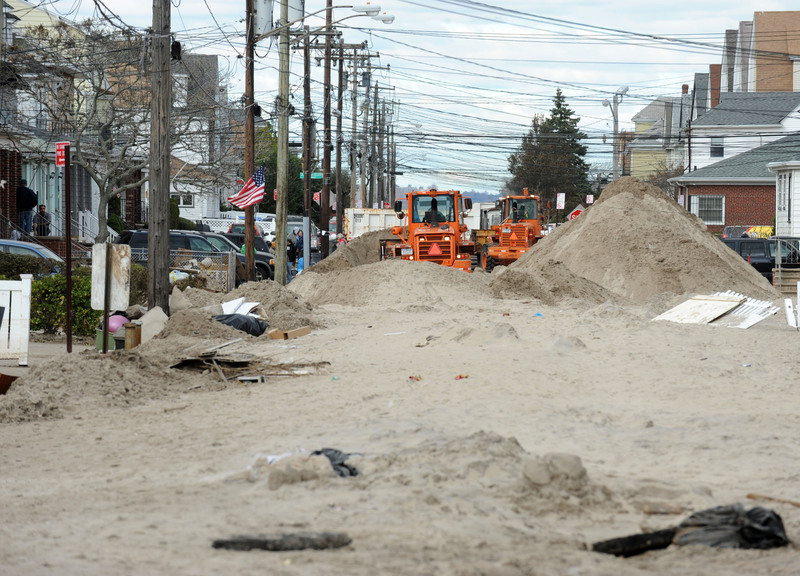 Most recently, the seven reactors affected by 2012’s Superstorm Sandy remained safe. Other plants have safely withstood powerful storms, including Waterford 3 in Louisiana handling the effects of 2005’s Katrina and Turkey Point in Florida safely taking a direct hit from 1992’s Andrew. Flooding can happen with or without storms, and U.S. plants are designed to and safely ride out significant events, such as when Fort Calhoun in Nebraska dealt with an overflowing Missouri River in 2011. Also in that year, Vermont Yankee remained safe as the Connecticut River valley suffered severe short-term floods from Hurricane Irene’s remnants. Japan’s Fukushima Dai-ichi nuclear accident in March 2012 showed the world what flooding (in this case from a tsunami) can do to a reactor. The NRC’s learned several flooding-related lessons. from the accident. As a result of NRC direction, U.S. plants are using the latest software and technical know-how to re-analyze all flooding sources. This will help the NRC determine if the plants need to consider higher flooding water levels when establishing plans to stay safe. This effort has also examined existing flood protection and all plants have taken steps to confirm they can implement reliable flood safety plans. In the meantime, several plants have also chosen to enhance their flood protection. An earthquake caused the tsunami that devastated Fukushima, and again U.S. plants are designed to stay safe in the face of quakes that affect their area. Virginia’s North Anna plant was hit by an August 2011 quake centered a short distance away. The earthquake was strong enough to be felt across the East Coast; it shook North Anna with a little more force than what the plant was originally designed to withstand. North Anna remained safe – multiple inspections showed the plant’s systems were undamaged. This was unsurprising, since plant systems are designed to withstand a combination of events that can exceed the forces generated by an earthquake alone. As with flooding, the NRC has learned from Fukushima’s quake and other recent earthquakes, and we’re having every U.S. plant reanalyze earthquake hazards to see where enhancements might be needed. All the plants east of the Rockies have taken the first step in that process, and the other plants will do the same next March. U.S. reactors are also designed for (and have safely survived) hazards such as tornadoes, droughts and other severe weather events. Even with all this preparation, Fukushima reminds us to prepare for the unexpected. The NRC’s approach here involves every U.S. reactor having additional portable systems to restore and maintain safety functions. All of this work helps ensure the public stays safe when natural disasters strike that may impact U.S. nuclear power plants. One of the ways the public can take part in NRC actions involves asking the agency to issue new rules or change existing ones. The NRC’s website describes this “petition for rulemaking” process in detail, including how to submit a petition and what information the NRC needs in order to consider the request. At its most basic, a petition needs to explain the issue and why the petitioner believes action is needed. The petition should include whatever supporting information is available. One example of a successful petition involved revising NRC requirements for emergency planning at nuclear power plants. The petition led to a new rule that allows state and local governments to include stockpiles of potassium iodide for possible use in the event of an emergency at a nuclear power plant. Starting the process can be as simple as consulting with the NRC before filing a petition. We’ll provide information about the process, our regulations, and what we understand about the issues you intend to raise. If a petition falls short of the legal requirements, we’ll explain how to meet our criteria. The petitioner then has the chance to send us more information. When petitions meet the requirements, we enter them in our review process and announce our review in the Federal Register. If public comment can play a role in resolving the petition, the Federal Register notice explains how the public can provide their views. The NRC staff then evaluates the petition and any public comments to decide whether to start our rulemaking process. We stay in contact with the petitioner with periodic updates on the status of the staff’s work on the petition. If we deny a petition we announce the decision in the Federal Register and explain our reasons. We also respond to any public comments on the petition. If we accept a petition for consideration in our rulemaking process, the Federal Register notice explains how we intend to move forward. We also describe how the public can keep track of the NRC’s actions on the petition. If the NRC issues a proposed or final rule related to the petition, our Federal Register notice on the rule will explain how we have addressed the petition’s concerns. Update information for tracking the status of petitions and subsequent rulemaking actions. The NRC’s other petition process allows anyone to ask the agency to take an enforcement action against a nuclear power plant or other NRC licensee. We discussed these processes on the blog in 2011. Comments on blog posts do not represent official NRC communication, and links to internet sites other than the NRC website do not constitute the agency’s endorsement of that site’s content, policies or products. Please read our Disclaimer for more information. U.S. NRC Blog Blog at WordPress.com.